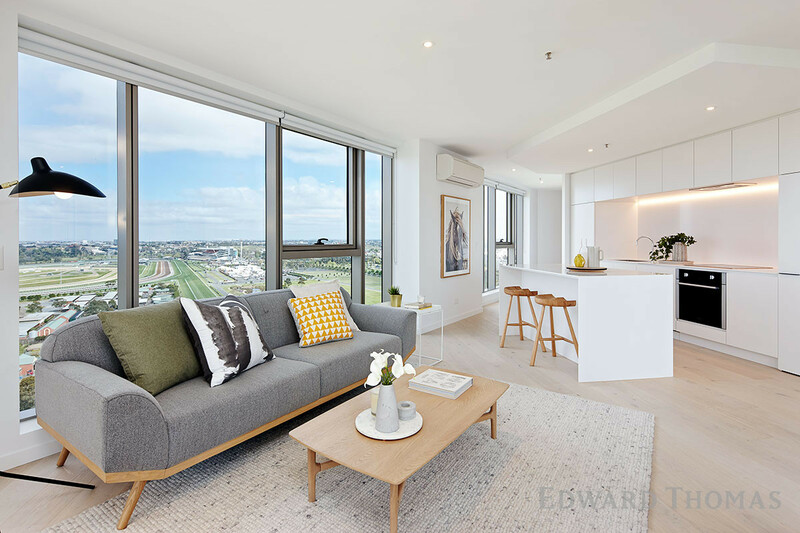 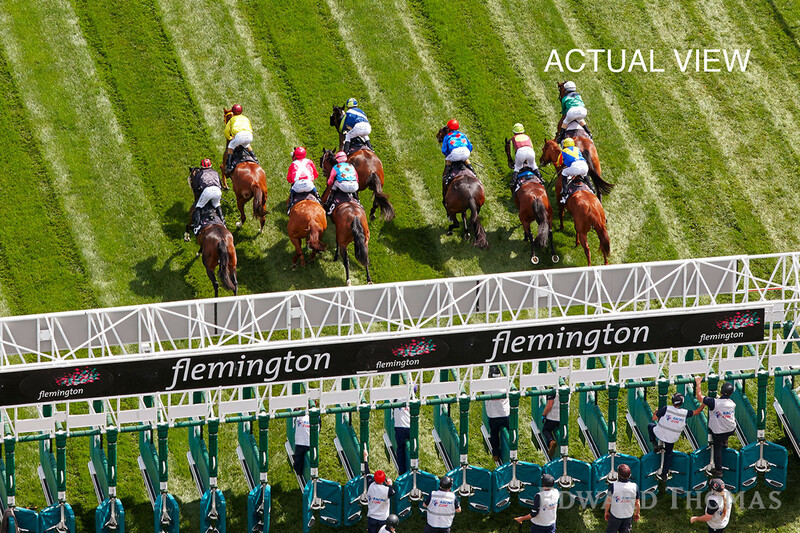 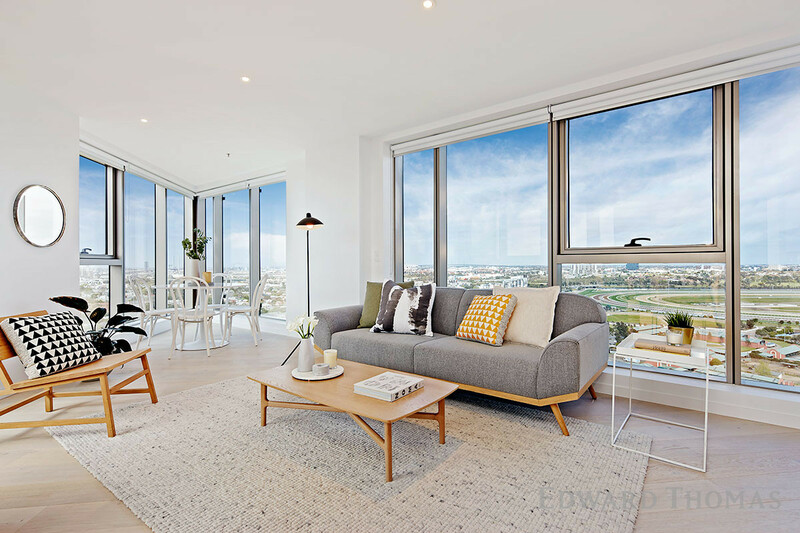 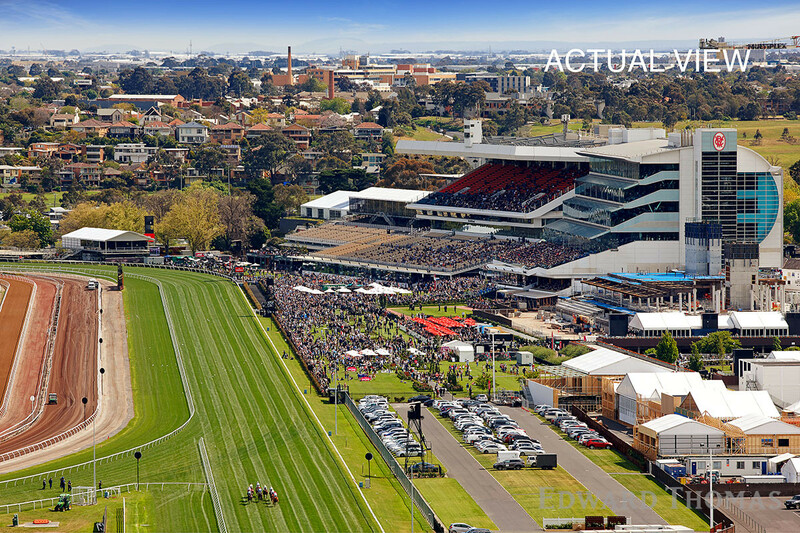 Presiding over Melbourne’s world renowned horse racing precinct, this exclusively located two bedroom, two bathroom apartment showcases uninterrupted Flemington Racecourse and sweeping city skyline views from every angle. 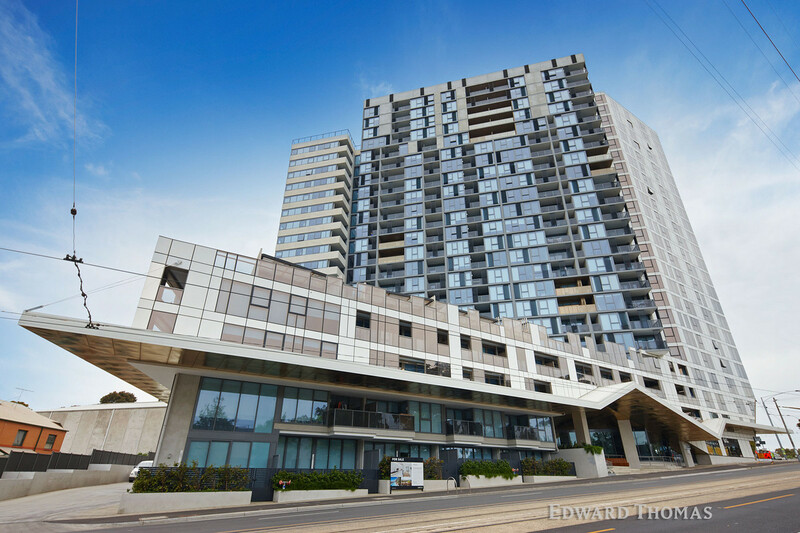 In the desirable “Only” complex, moments from Newmarket cafés, restaurants, shops and trains, the property offers an exceptional lifestyle with hotel-style amenities of the highest calibre, including sanctuary deck, swimming pool, with city views, gymnasium and indoor/outdoor entertaining spaces. 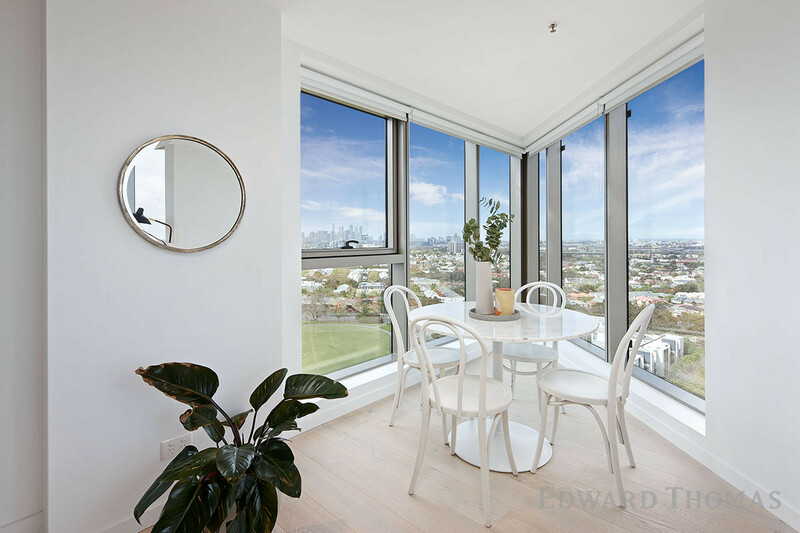 Displaying modern clean lines, quality finishes and vast glass aspects are stunning open plan living/dining zones and study nook opening onto a covered balcony with incredible vistas. 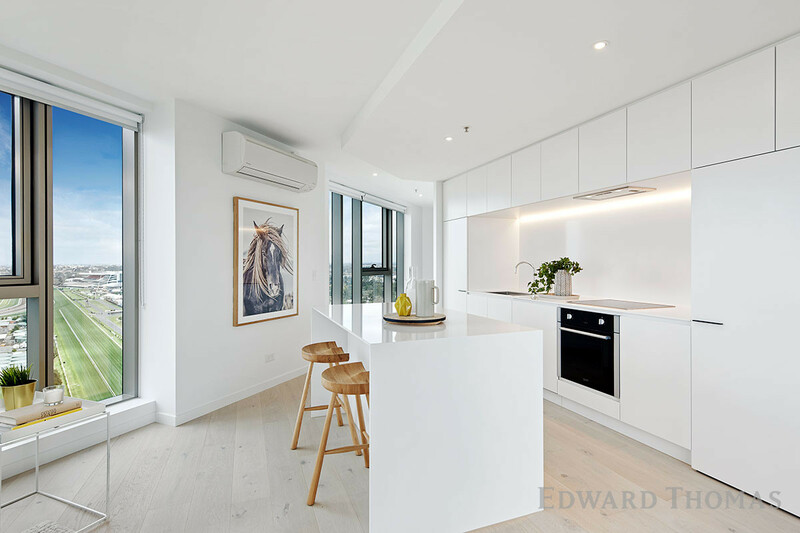 Perfect for entertaining, a sleek stone kitchen offers electric appliances/integrated dishwasher, soft-close cabinetry and island bench. 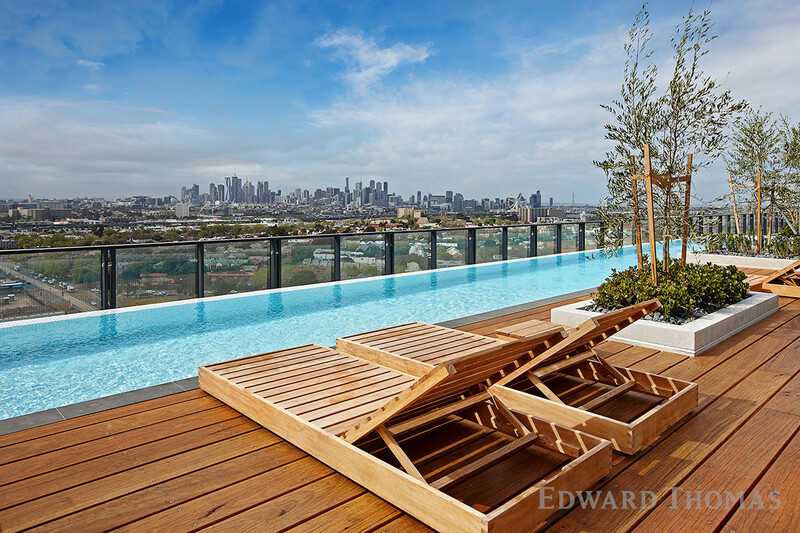 Private accommodation comprises two robed bedrooms, one enjoys balcony with views down the home straight. 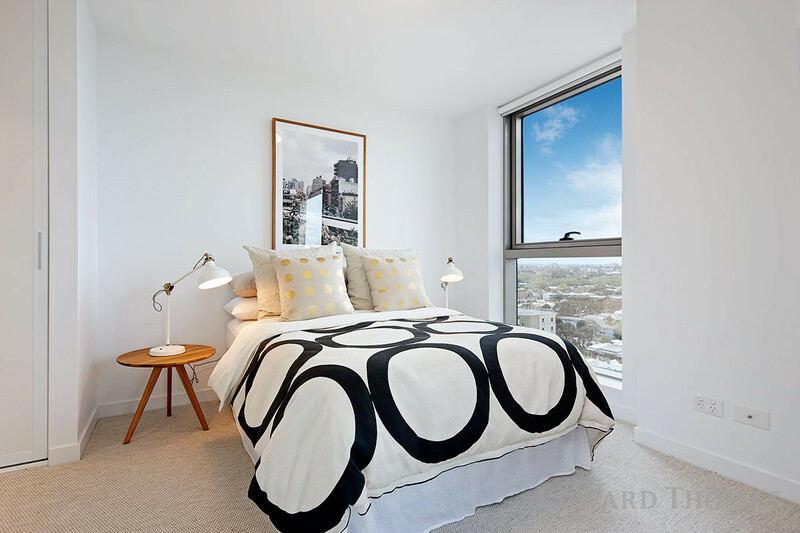 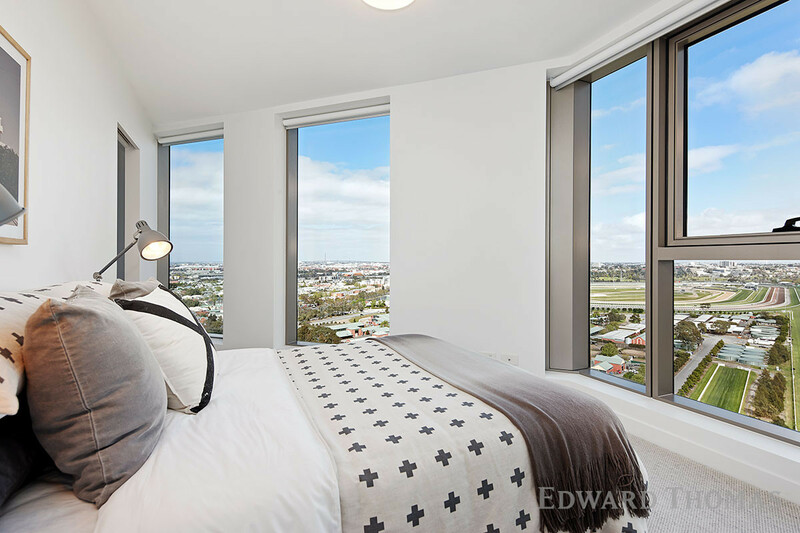 The main boasts ensuite and city views. 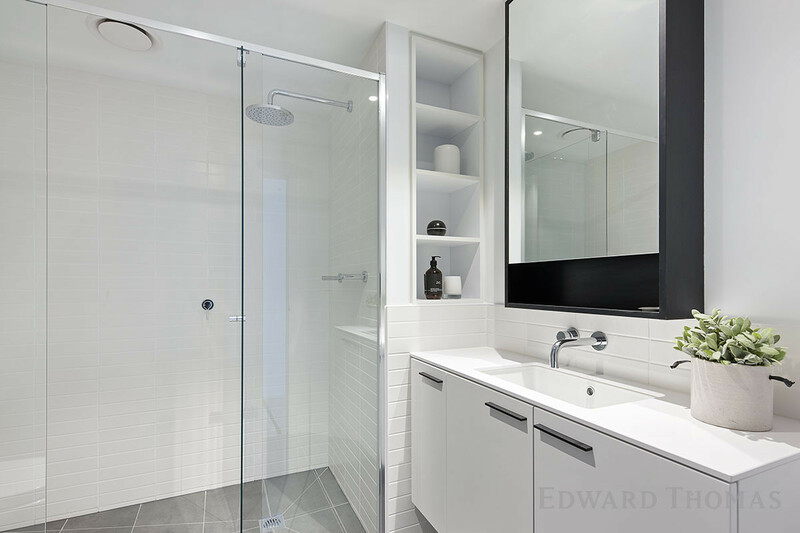 Complemented by stone bathroom/laundry, split-system, lift/intercom and car space/storage cage. 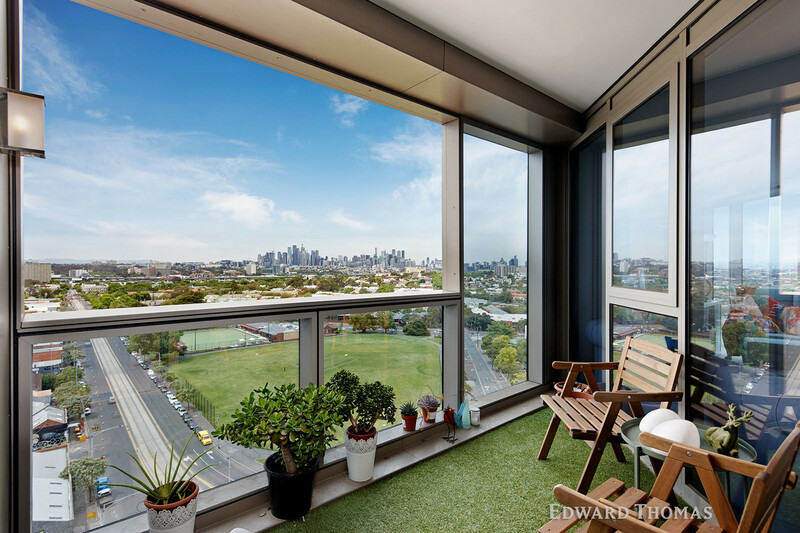 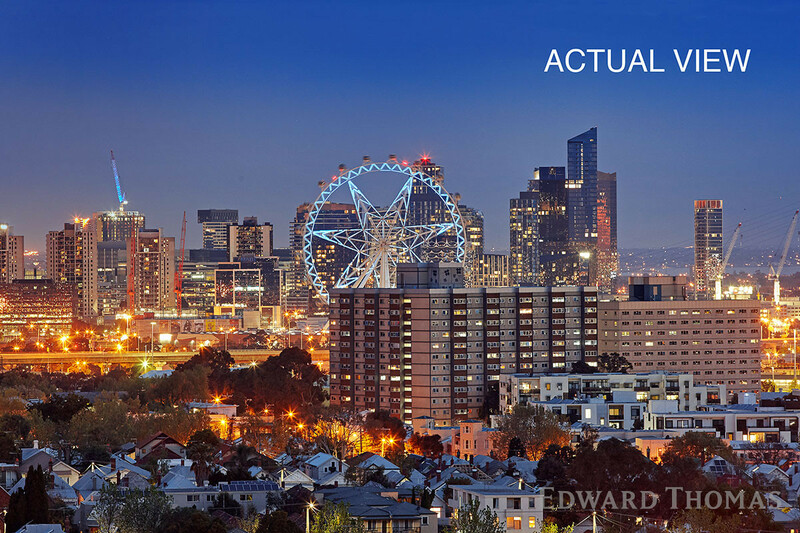 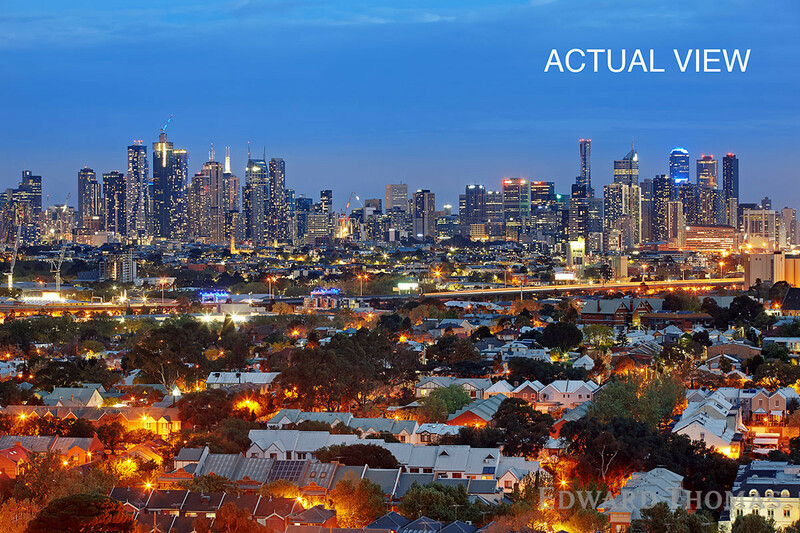 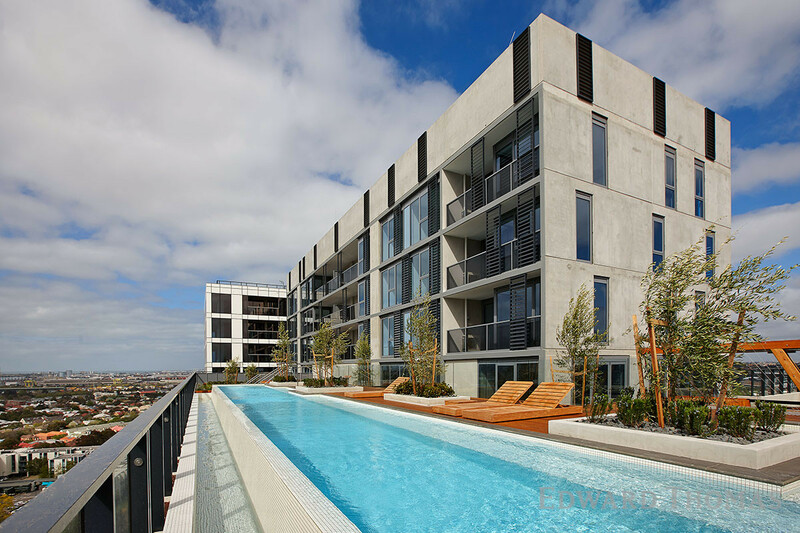 With Showgrounds Village, Maribyrnong River, parklands and trams on your doorstep, and minutes to the CBD, this is living.